Appointing educational mediators is a very useful practice that Sliven has proved successful. It should be expanded with the funds the budget allocates to work with children and students from vulnerable groups. Schools can also transfer those funds to NGOs working in the community. The Ministry of Education and Science (MES) agrees with the request that such funds should be made available to high school students as well from 2019. These were some of the main messages of the Minister of Education and Science Krasimir Valchev from his meeting with school and kindergarten principals from the Sliven district. It was held on September 21 in Sliven. Minister Valchev briefly analyzed the work of the Ministry of Education and Science and outlined the next steps related to a number of pressing problems. Important issues related to desegregation of Roma schools, work with parents, early marriages, additional funding for vulnerable groups and increased attention to vocational education were raised and discussed, as the labor market is already experiencing a shortage of specialists in different fields. On the last issue, Minister Valchev expressed the view that funding for vulnerable groups should also be allocated to vocational schools, as well as considering how to extend the scope for traveling expenses to allow students to go not only to the closest but to the chosen professional class at a district level. The Minister of Education stressed that avoiding segregation on the one hand and encouraging desegregation on the other should be made wherever it is possible. The problem of free movement in the country and abroad has also been discussed, which makes the mechanisms in scope difficult and stressed the need for all institutions to work together in this direction. Also, the Minister noted that there was good partnership between the educational institutions, the mayors and the regional governors. As a useful practice, he appreciated the work of mediators in the Sliven region, which, by way of example, motivated children to go to school, and emphasized that working with parents is of utmost importance in coping with the problem of early dropping out of the education system. Dr. Bisserka Mihaleva, head of the Regional Inspectorate of Sliven, pointed out that together with the district administration and Amalipe Center are working in this direction and work with parents should become a priority for Sliven region, where the early marriages are the most numerous. The following meeting in the village of Sborishte raised this question and the Minister expressed the view that the state should consider a mechanism that would work and be a leader in the ethnic traditions. Minister Valchev noted that schools with a concentration of pupils from vulnerable groups who received additional financial support could use the additional funds to tackle some of the problems by increasing the teachers' salaries and to appoint mediators or work with other organizations which support schools and teachers to overcome some of the issues that were being discussed during the meeting. 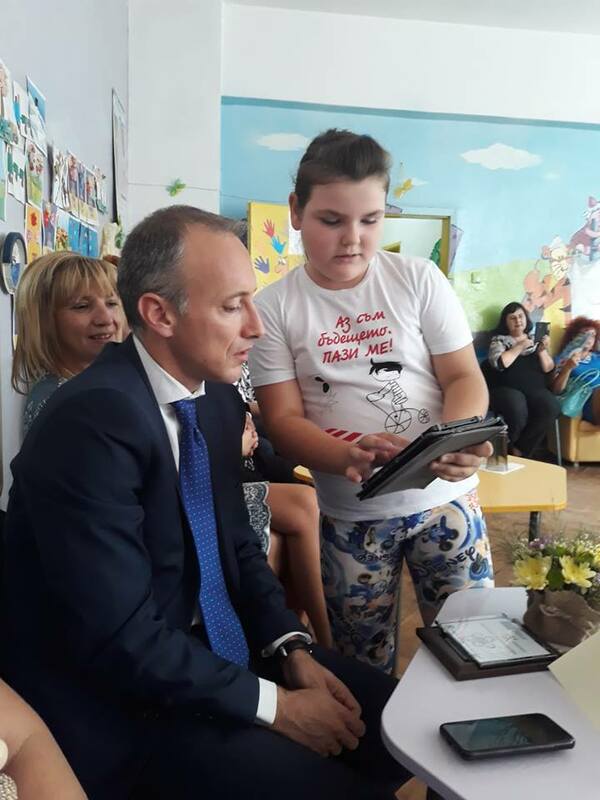 As part of the visit, Minister Valchev, together with the MP from the region Galya Zaharieva, visited several schools. Among them was the "N. Prokopiev" Primary School in the village of Sborishte, which is part of the Amalipe Center network and one of the active schools under the project "Every student will be a winner".